This article has been archive, but left online for reference purposes. The information contained in this article may no longer reflect the current situation. UPDATED | On the 25th August 2015 technical changes took place to the ITV service on Freeview. Viewers may need to retune their Freeview boxes or TVs to continue receiving all available ITV services. Affects all Freeview users, including those living in regions served by STV or UTV. ITV4 (channel 24) is changing frequency. It will become available to all households with Freeview, broadcasting as part of the same signal that carries ITV and Channel 4. Viewers who already can receive ITV4 on Freeview should retune from lunchtime on the 25th August 2015 to continue watching the channel. Series links/recordings should be checked and reinstated. Viewers who currently can't receive ITV4 on Freeview will need to retune from lunchtime on the 25th August 2015 to add the channel to their channel list. Viewers with a YouView box: Your YouView box should automatically update itself and retain planned recordings. Further information on ITV4 is available here. Affects viewers who can already receive ITV3+1 on channel 34. From 25th August, ITV3+1 broadcasts from 6pm to 6am - but you need to retune. In an unannounced change, this channel changed multiplex (frequency). It's broadcast as part of the same channel group as 4 Music and Spike. A small number of viewers may lose the channel. It will be no longer available via the Ferryside transmitter. The old version of ITV3+1 for viewers who haven't retuned will cease later this week. Affects viewers in Wales with Freeview HD. On the 25th August, the current ITV HD service broadcast in Wales, which carries regional news from the Central region will cease to be available from transmitters in Wales. Affected viewers should check and reinstate any series links/recordings. Affects viewers who could already receive CITV on Freeview. In an unannounced change, this channel has changed frequency, and is now part of the channel group that carries 4Music and Spike. As part of the ITV4 retune, most viewers should get the channel back. A small number of viewers may lose the channel. It will be no longer available via the Ferryside transmitter. The old version of CITV for viewers who haven't retuned will cease later this week. 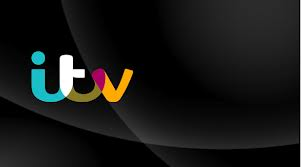 Viewers are being advised of the forthcoming changes through pop-up messages that are appearing on ITV, reminding them to retune after lunchtime on the 25th August 2015. We currently have what seems to be an 85 cm dish on the roof of our house at the west end of Lake Balaton in Hungary. Until 1st August we were able to watch Channel 4 and 4+1 but that is no longer the case. Does anyone know whether it would make a lot of difference if we had a 100 cm dish - the problem in Hungary is that sometimes it gets very windy so I am not sure that I would be happy to have a dish larger than 100 cms on the roof because it may cause us problems. Legal issues aside regarding internet streaming, without internet, satellite was your only way to access Channel 4 at your location. You may need to consider a larger satellite dish on the ground, but in the long term, there's no guarantee that you will retain reception. You were very fortunate to be able to watch C4 on a 85cm dish: you appeared to have been under a sidelobe of Astra 2E before its orbital position was tweaked at the end of July. (Satellites have narrow bands of good and bad reception areas around the edge of the main spotbeam footprint area, known as sidelobes and nulls). People either side of you needed more than 200cm to pull in a regular all-day signal. You may wish to see if you can discuss this on a specialist satellite forum, as they may be able to give you more detailed information and advice relating to Hungary. Hello, You do not specify how you are receiving these channels and if you're in the UK or not, so we are unable to give you advice. The article above relates to reception of ITV services on Freeview (TV via an aerial in the UK), which is undergoing some changes on the 25th. watching via a freeview box, if we don't return on Aug 25th, will we lose ITV and CH4? From the information supplied by ITV, the main ITV service, and indeed any other main channel, will not change, so if you only watch the main five channels, for example, you don't need to retune. can i take it as understood, households on a main transmitter will lose ITV4 ? households on a relay will gain ITV4 after a retune ? They have also changed the channel number from 24 to 808! The 800 channel range is specific to individual receivers. If ITV4 has appeared on channel 808, you do need to retune, as the channel is actually on channel 24, with the old version on channel 792. If you have already retuned, you may need to do a first time installation or factory reset to clear the channel list and start from scratch.